The prestigious Silver Telly Award, the highest honor of its kind, was won by Alan Gerstel and The Education Network for the video, Laura Woodward: Visionary Artist, based on the book by Deborah C. Pollack, Laura Woodward: The Artist Behind the Innovator Who Developed Palm Beach. 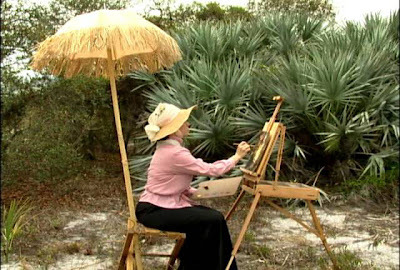 From over 13,000 entries from the U. S. and around the world, Laura Woodward Visionary Artist took first place in three categories: Documentary, Cultural, and Education. "The Telly Awards honor the very best local, regional, and cable television commercials and programs, as well as the finest video and film productions. The Telly is one of the most sought-after awards by industry leaders, from large international firms to local production companies and ad agencies."